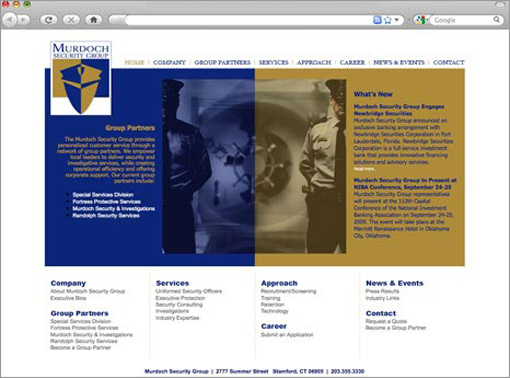 Murdoch Security Group wanted a clean, easy-to-navigate website that looked like their existing print collateral. Studio K&M delivered that and more. The result is a slick, compelling site that escapes the generic imagery and conventions of other security firms’ websites.